I have been meaning to go to Trullo for quite a long time now but somehow the schlepp up to North London never quite happened, so when I received an invite from Fiona Maclean of http://www.london-unattached.com/. I hopped onto the overground, put on my thermals and hoped for the best. It has been on my radar as a ‘cheaper than The River Cafe‘ option, along with Zucca in Bermondsey, for those of us who like our Italian food to be ‘sophisticated rustic’ but at a price point that isn’t going to break the bank. Chef Tim Siadatan was one of the first graduates of Jamie Oliver’s Fifteen then moving on to Fergus Henderson’s St John in Farringdon and Sam and Sam Clark’s Spanish/Moorish joint Moro in Clerkenwell. The influence of all three restaurants is apparent with Moroesque charcoal grilling a feature on the menu, a simplicity in presentation and respect for the produce coming from St John, and a focus on Italian food from Fifteen. 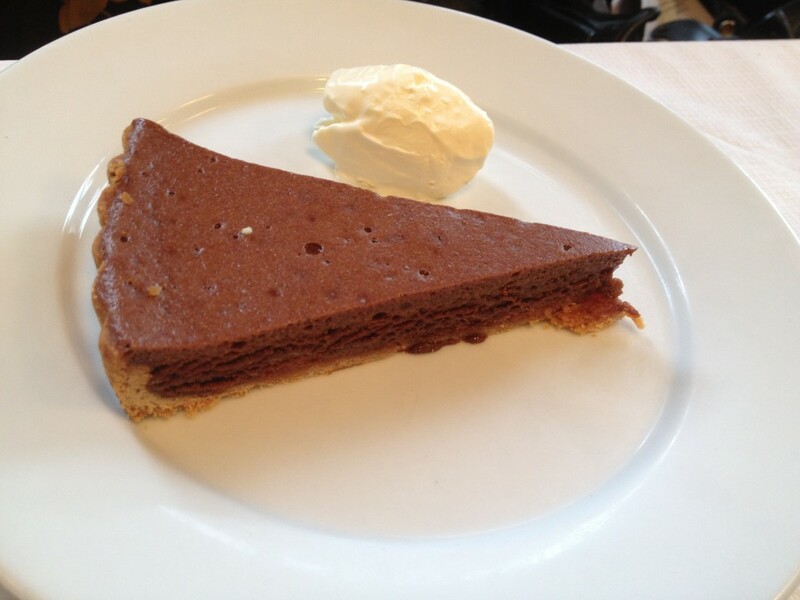 The room is comfortable with dark brown bowback chairs and banquettes but at Trullo the action is really taking place on the plate. 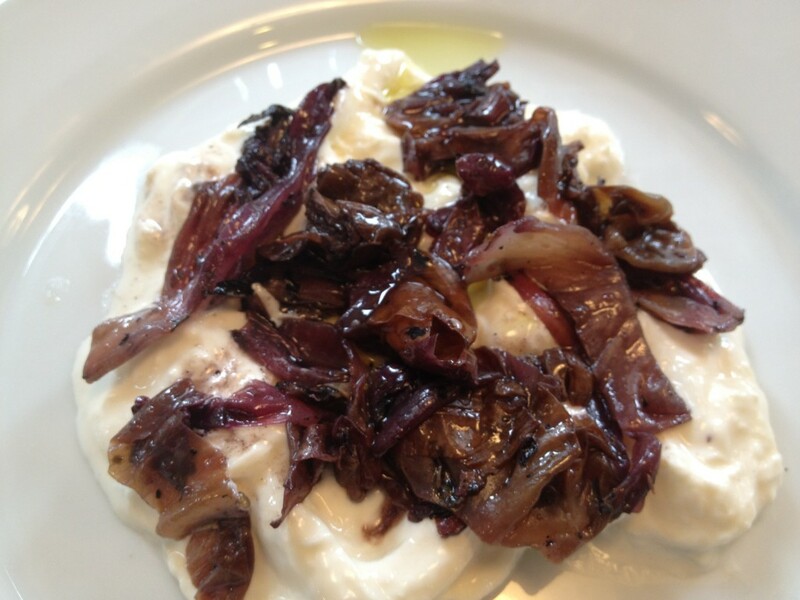 Creamy Burrata (£9) comes with radicchio, its usual bitterness softened into to something more subtle, almost smokey in character, offsetting the acid sweetness of the burrata. This was a serious little plate of food. Grilled Quail (£9)with liver crostini is another good combo. Very meaty but not heavy, the one complementing the other. 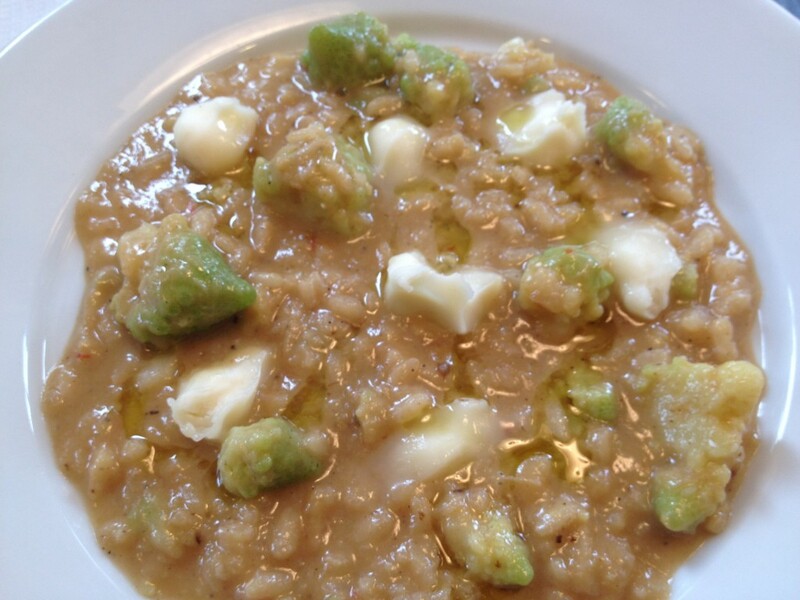 Risotto (£7) with romanesco, that Roman broccoli/cauliflower hybrid, and chunks of taleggio la baita, a soft full milk cheese, needed a bit more bite to the rice but was suitably unctuous and warming on a damp October day. 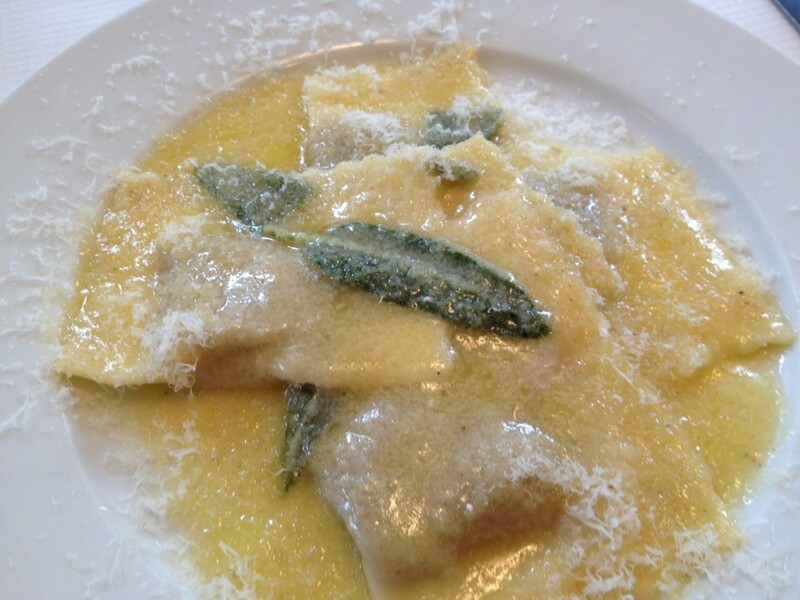 Ravioli of celeriac puree (£7.50) with sage butter was smooth, silky and utterly delicious with a great mouth feel and layering of taste and texture. 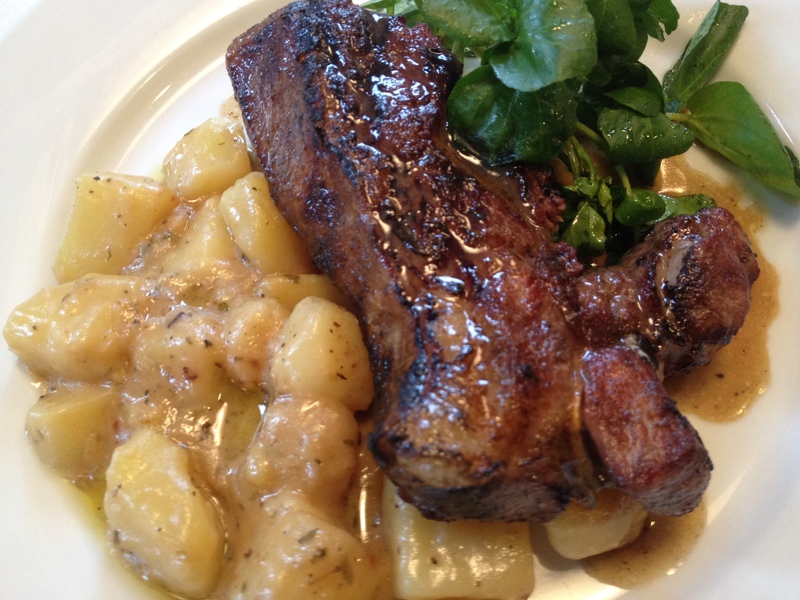 Dorset Lamb Rump (£16.50) with braised Roseval potato, anchovy and oregano had been cooked on the charcoal grill. Grilling is a very particular skill and at Trullo they clearly know what they are doing as the meat was perfectly charred and full of flavour. 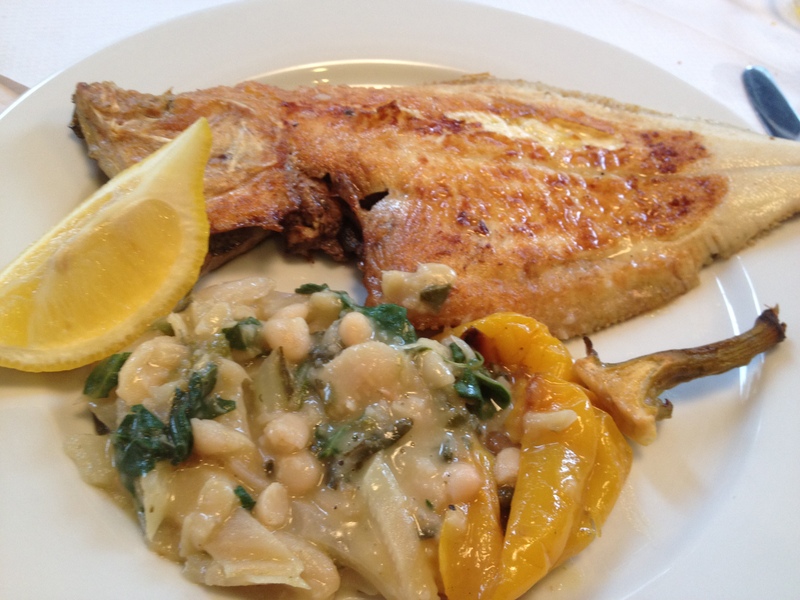 Plaice (£16.50) with baked cannellini beans with Swiss chard and yellow peppers was another great plate of food. The plaice was very fresh and fried in a simple egg and flour coating-it was perfect and the baked cannellini beans with chard were a bit of a revelation, soft but with an earthy taste set off by the vibrancy of the yellow pepper. 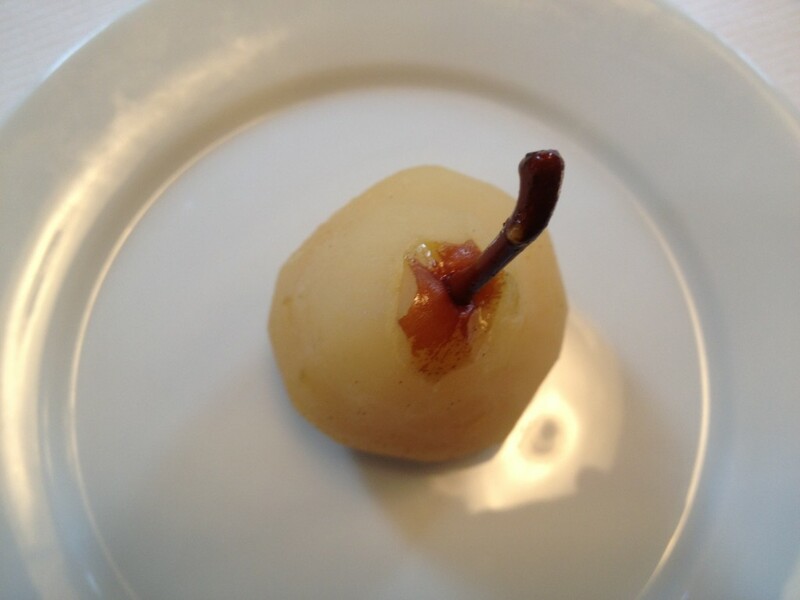 For dessert I had Poached pear (£6.50) eschewing the listed mascarpone for a side order of salted caramel ice-cream with Fiona opting for the Chocolate and quince tart (£7). Both were excellent. We washed down the meal with a bottle of Vadiaperti Greco di Tufo (2010), a wine that is creeping onto a lot of lists at the moment as it combines good value with a robust herb and mineral flavour. 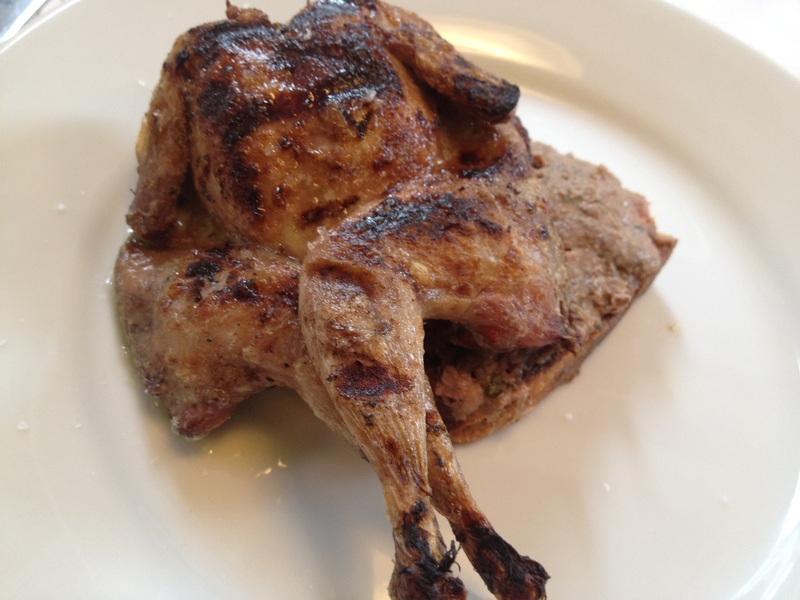 Trullo would be a godsend as a local neighbourhood restaurant offering great quality at a reasonable price point, but would I make the trip across town again? Well yes I would. Please do keep your blogs coming in and spread the word amongst your contacts. If you have any questions or suggestions about how we can improve your experience, please do get in touch – via email, phone, Facebook or Twitter.